AMMONNEWS - Cairo has agreed with Amman that Egypt will export natural gas to Jordan via the pipeline running through Sinai, throwing into question the declared intent of the companies in Israel’s gas consortium, Noble Energy and Delek Drilling, to export the product to Egypt. Last week Delek and Houston-based Noble said they had struck a deal to buy 39% of EMG, the company that owns the pipeline to Egypt. If Egypt exports gas to Jordan, that would mean sending gas through the same pipeline, but in the opposite direction than if gas were being exported from Israel to Egypt. Egyptian news sites, including Daily News Egypt, quoted a source at Egypt’s Petroleum Ministry as saying that Egypt had concluded negotiations to sell gas to the Jordanian power utility NEPCO. The source said the deal was for 250 cubic feet of gas a day – a significant quantity, equal to 2.6 billion cubic meters of gas a year, some 75% of the Jordanian utility’s annual natural gas consumption. “Egypt would continue exporting natural gas to Jordan in early 2019 through the pipeline linking Egypt and the Jordanian lands, which would be the start of turning the country into a regional hub to distribute energy, and then later achieve self-sufficiency of gas,” Daily News Egypt reported, citing the official. Delek and Noble plan to bring Israel’s largest offshore natural gas reserve, the Leviathan field, online in the final quarter of next year. NEPCO is one of Leviathan’s largest customers, so a deal with Egypt could undermine plans to develop the gas field. The original gas deal between Egypt and Jordan was signed in 2004, when Egypt committed to providing NEPCO with 250 million cubic feet of gas a day at $2.50 per thermal unit. In April 2012 the Egyptian government raised the price to $5 per unit, which is still less than NEPCO would be paying to Leviathan. EMG’s pipeline connects to the above-ground pipeline through Sinai near El-Arish. That portion of the pipeline is owned by Egypt’s GASCO. The EMG acquisition has several conditions and thus is not 100% guaranteed. The deal is partly conditioned on regulatory approval in both countries as well as on the sale of Israeli gas to Egypt via the pipeline. The conditions must be met by June for the acquisition to go through. Delek Drilling declined to answer directly how the Sinai pipeline could be used to send gas in both directions. 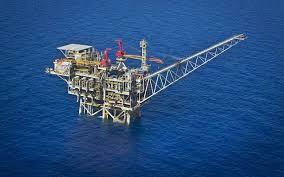 “The signed deals to export gas to Jordan and Egypt have turned Leviathan into a leading regional energy source. This is the same Leviathan that your newspaper predicted would not be developed and would never produce natural gas,” Delek Drilling told TheMarker. Aside from the issue of using the same pipeline to send gas in opposite directions, the Egyptian-Jordanian sale could have implications for Leviathan. In 2016, the Leviathan partners – Noble, Delek and Ratio – signed a deal to sell gas to NEPCO. That deal, for a significant 45 billion cubic meters of gas over 15 years, is worth up to $10 billion. The deal contains an option to increase sales by 500 million cubic meters a year, but the quantity of gas is not final and there is no guarantee that Jordan will buy all of it. The agreement does, however, set a minimum quantity that the consortium has never made public; on Wednesday it declined again to comment on this. Industry sources have guessed that it is similar to the figure in the deal with the IEC, which is 75%. Presuming the Egyptian news report is correct, it would be impossible for both Egypt and Leviathan to export the full quantity of gas in their deals, and Leviathan’s exports to Dolphinus could also be undermined by the alternate use of the pipeline. Under this scenario, Leviathan could find itself in a significant cash crunch, and the gas reserve and the controlling companies could find their market valuations stung. Meanwhile, Noble is taking advantage of current high valuations to cash in. Over the past few days it offloaded its full 43.5% stake in Tamar Petroleum, in two sales.